The philosopher … is not just an observer, he is an actor; he is an actor of the highest kind in a moral world because it is his opinion of what the world must become that regulates society. Claude-Henri de Rouvroy, comte de Saint-Simon (17 October 1760 – 19 May 1825), also referred to as Henri de Saint-Simon, was an early French utopian socialist, whose thought influenced the foundations of various 19th century philosophies, including the philosophy of science and the discipline of sociology. Today, for the first time since the existence of societies it is a question of organizing a totally new system; of replacing the celestial with the terrestrial, the vague by the positive, and the poetic by the real. The whole of society rests upon industry. La politique est … la science de la production. Politics is the science of production. as quoted from The New International Encyclopædia, Volume 17, (1905 edition) p. 471, by Gilman, Daniel Coit; Colby, Frank Moore; Peck, Harry Thurston. Editor Dodd, Mead. True equality consists in each drawing benefits from society in exact proportion to his social outlay, that is to his real capacity, to the beneficent use he makes of his abilities. And this equality is the natural foundation of industrial society. [A]ujourd'hui … [i]l est question, pour la première fois depuis l'existence des sociétés, d'organiser un système tout-à-fait nouveau, de remplacer le céleste par le terrestre, le vague par le positif, le poétique par le réel. [J]e me propose en m'adressant à différentes fractions de l'humanité, que je divise en trois classes: la première, celle à laquelle vous et moi avons l'honneur d'appartenir, marche sous l'étendard des progrès de l'esprit humain; elle marche sous l'étendard des progrès de l'esprit humain; elle est composée des savants, des artistes et de tous les hommes qui ont des idées libérales. Sur la bannière de la seconde il est écrit: point d'innovation; tous les propriétaires qui n'entrent point dans la première sont attachés à la seconde. La troisième, qui se rallie au mot égalité, renferme le surplus de l'humanité. I have divided [the different sections of mankind] into three classes. The first, to which you and I have the honour to belong, marches under the banner of the progress of the human mind. It is composed of scientists, artists and all those who hold liberal ideas. On the banner of the second is written 'No innovation!' All proprietors who do not belong in the first category are part of the second. The third class, which rallies round the slogan of 'Equality' is made up of the rest of the people. Le philosophe se place au sommet de la pensée; de là il envisage ce qu'a été le monde et ce qu'il doit devenir. Il n'est pas seulement observateur, il est acteur; il est acteur du premier genre dans le monde moral, car ce sont ses opinions sur, car ce sont ses opinions sur ce que le monde doit devenir qui règlent la société humaine. The philosopher places himself at the summit of thought; from there he views what the world has been and what it must become. He is not just an observer, he is an actor; he is an actor of the highest kind in a moral world because it is his opinion of what the world must become that regulates society. La société tout entière repose sur l'industrie. L'industrie est la seule garantie de son existence, la source unique de toutes les richesses et de toutes les prospérités. L'état de choses le plus favorable à l'industrie est donc par cela seul le plus favorable à la Société. The whole of society rests upon industry. Industry is the sole guarantee of its existence, the single source of all its wealth and all its prosperity. The state of things most favorable to industry is by that very reason the most favorable to society. Saint-Simon was the founder of corporatism, or at least of technocracy. It is in Saint-Simon that we find the identification of the categories life, or society, with industry. Saint-Simon helps to generate a theme which subsequently pervades all socialist traditions, for he raises the issue of status or legitimacy of citizenship with reference to productivity. Saint-Simon's hoped-for world is not only one where those who do not work shall not eat; it is also a place where they absolutely shall not rule. As Paul Ricoeur points out, Saint-Simon leaves a legacy which affects all socialisms, for he introduces into social theory (he theme of idleness and parasitism as social problems consequent on the evasion of the central social responsibility ascribed to citizens: the duty to be productive. Saint-Simon then adds his second profound message – that the elimination of the social problem of parasitism can finally lead to the disappearance of the state. For the logic of Saint-Simon is that the only legitimate social functions are those of production, and those of the scholarship which aids production. It is no accident that this corporatist utopia is today defended by western labour movements, for it exhausts the contemporary utopic vision of citizenship – good citizens are those who either boost Gross National Product or who conduct Wissenschaft as part of that process. For Saint-Simon was indeed to argue that 'Politics is the science of production'; here there is a politics of economic interests, but no other politics. Thus the second legacy – for where there is no politics, there need be no state, or at least no state conventionally defined. Saint-Simon proposes that there ought henceforth to be three chambers of government, functionally defined and solely directed to the national productive task." Politics would thus become administration, society would become a technocratic utopia untroubled by the routine vicissitudes of everyday life as encountered by the 'unproductive' masses. Bourgeoisie and proletariat would be locked into perpetual embrace, while parasites rich and poor alike would wither and government along with them. For the new society would only have hands, head and heart, and the parasites would be expelled by the body corporate. Saint-Simon was the prophet of meritocracy, seeking to reorder society in the image of the new chessboard he had designed for revolutionary France, with a hierarchy in which the king was replaced by a figure called Talent. [Count Henri de Saint-Simon] was for a time supported by his former valet, whose function had been—so the Saint-Simonian legend says, and it is not hard to believe—to rouse the count each day with the words, "Get up, my lord, you have great things to do today!" 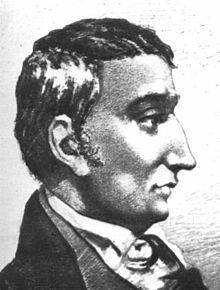 Saint-Simon was the first to emphasize the efficiency of huge industrial undertakings and argued that the government should actively intervene in production, distribution, and commerce in the interest of promoting the welfare of the masses. He sanctioned both private property and its privileges as long as they were used to promote the welfare of the masses.